I’m a big fan of trying out new anti-ageing skin care products, always on the look out for that one particular brand or product that actually delivers or promises its selling to do. Now, whilst I was at the supermarket on New Years eve last year, collecting my weekly grocery for the upcoming week, I was browsing in the Beauty aisle (as you do) and did my eyes deceive me?! 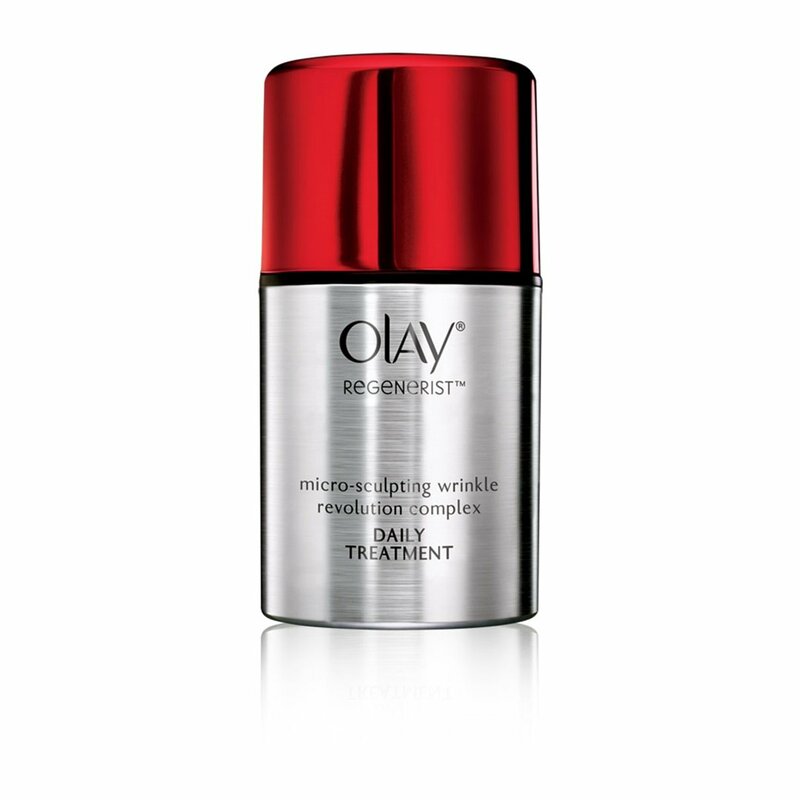 There was an AMAZING sale on the Olay Regenerist products that I just simply could not refuse! I will be completely honest, in the past I have always bought reasonable priced skin care products as I haven’t always in the past been able to afford the more pricey brands, and Olay here in Australia, whilst its not super expensive it is still a tad pricey for the average person. So right there and then, I bought the Regenerist Miracle Booth Youth Pre-Essence, the Regenerist Micro-Sculpting Serum, the Regenerist Micro-Sculpting Night Cream, the Regenerist Revitalising Eye Serum and the Regenerist Wrinkle Revolution Complex. Olay first came about in the 1950s by a South African chemist named, Graham Wulff. He worked from his own laboratory at home and wanted to create a moisturizer that would closely resemble the natural makeup of the skin’s own oils. He sought to produce a product that would restore moisture, penetrate rapidly and protect the skin. Since then the Olay brand has just evolved tremendously over the years, into becoming a best seller year after year. 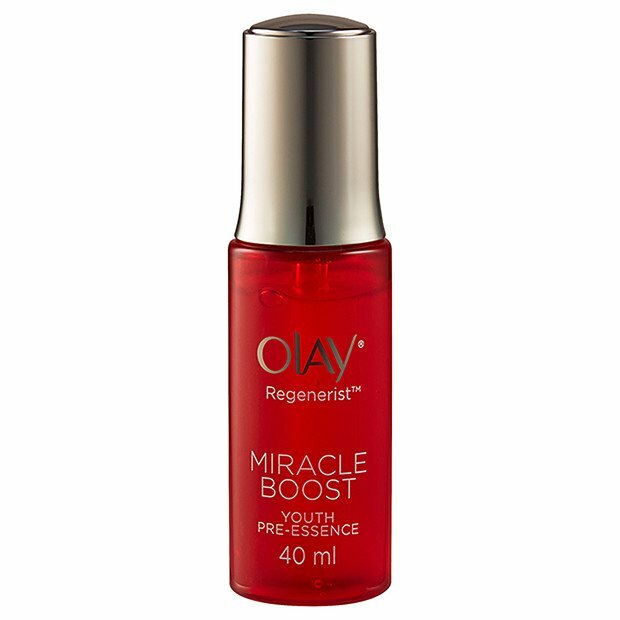 The Olay Regenerist Miracle Boost Youth Pre-Essence has been touted as “the next breakthrough in skin cell renewal”. It’s designed to boost the penetration of anti-aging ingredients of your moisturizer to increase the skin cell metabolism and renewal. As we all age, our skin cell energy declines over time, which makes it harder for our skin to produce and maintain the natural radiance, firmness and hydration. 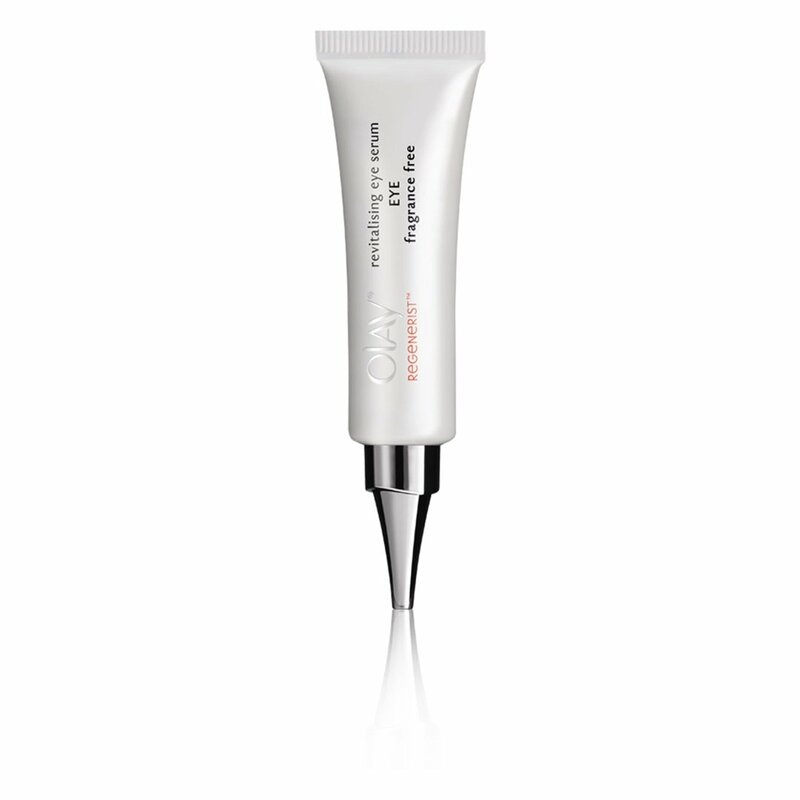 The essence starts the renewal of a million surface cells and helps visibly reduce fine lines, pores and firms the skin. It penetrates quickly, leaving behind hydrated, smooth and supple skin. It contains Golden Amino Peptide that promises to boost cell energy by 35% to strengthen the skin and to trigger self-collagen production for firmer and younger looking skin. The auto-dropper ensures that the exact right amount of product is delivered upon every application, so you will never end of applying less or more than you should. I find that my skin feels so much more smoother, hydrated and replenished with daily use and have noticed that my skin looks more vibrant and refreshed. As my skin is ageing, wrinkles are of a huge concern and I noticed the serum gives me a smoother look and has given me lots of confidence. I like the fact that it’s not sticky and is fragrance free. The Regenerist Micro-Sculpting Serum has the highest concentration of amino peptide complex and actives hydrate to plump sagging skin. I noticed after two weeks of using this product that my skin improved dramatically. My face looked more hydrated… and surprise surprise, it reduced the appearance of lines. Its really got a very lovely lightweight and creamy texture to it, which once applied to your face feels so smooth to the touch and allows an easy product distribution when you’re actually applying it. You only need a small pump for an entire face and neck. I also recommend applying it under your eyes. Housed in this serum is a blend of peptides, antioxidants, amino acids and a high dose of the ingredient ninacimide. The water and silcone based serum soaks in instantly and imparts a slight shimmery glow. It does have mineral pigments that leave a shinny matte glow but doesn’t look overdone. Make sure you wait a minute before you move onto the next product. The Regenerist Wrinkle Revolution Complex reduces the appearance of lines and wrinkles by eliminating shadows and smoothing skin. The cream is made up of a penta-peptide formulation, which provides hydration to the skin and a light optics formula with micro-fillers that smoothes the look of fine lines and also the B3 complex hydrates to diminish the look of fine lines and wrinkles, even deep eye lines. I found that the cream actually does plump the skin and looks so much more smoother (I can’t help but touch my face as I can’t believe how smooth my face feels with these products!). Also also pat it a small amount around my eyes as I have these horrible laugh lines (thanks dad!) on the side of my eyes. It has worked by smoothing the lines. It’s a little pot of wonder! 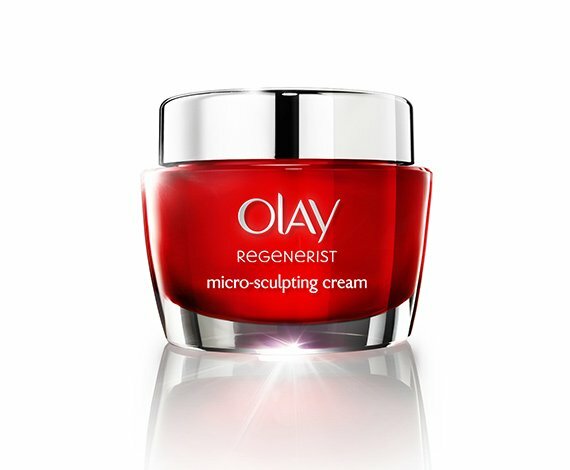 The Regenerist Micro-Sculpting Night Cream is a moisturising cream that provides skin with intense hydration. Its rich formula features an amino-peptide complex that helps to renew the skin’s surface, while its hydra-firming complex helps maintain a youthful complexion by firming and smoothing. The cream helps to reduce the appearance of fine lines and wrinkles by hydrating, exfoliating and smoothing the skin. After of using this product for a few days I was pleasantly surprised that my skin felt smoother and there were less visible lines on my forehead, around my eyes and on my cheeks. My skin is softer, smoother and overall it has a beautiful, healthy glow. 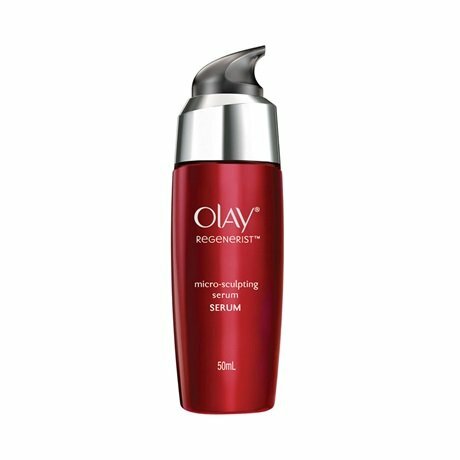 The Olay Regenerist Revitalising Eye Serum is a serum that hydrates the delicate eye area. The fragrance free, easy-absorbing, non-greasy formula features an amino-peptide complex that helps to renew the skin’s surface around the eye area, which the formula helps the appearance of fine lines and wrinkles around the eye area while moisturising, exfoliating and smoothing the skin. Firstly the tube is great, it allows hygienic application without digging your fingers into small jars and also allows a small amount to be easily removed from tube. You really only need a small amount and it goes on like a dream, a really great creamy texture. Its light but effective and doesn’t block my skin or make it feel sticky. I’m quite impressed with how well it hydrates. Apply the Regenerist Miracle Boost Pre-Essence on your forehead, cheeks, nose and chin. After letting your skin absorb the Miracle Boost Pre-Essence for a few minutes, apply the Regenerist Micro- Sculpting Serum on the same areas. Do these steps twice a day, every morning and every night before bedtime. Again, wait another minute or so and then apply the Regenerist Wrinkle Revolution Complex. And once again wait another minute or so for your skin to absorb the previous product and then apply the Regenerist Micro-Sculpting Night Cream. On the one hand its a ‘YAY’ from me: The products stand out in the new updated version in the glossy red bottles, jars and tubes. It looks flashy and expensive. Now, I’ve been using these products since the 1st January this year and already within that time, I feel that my skin is a-lot more supple, smoother, appearance of lines have seriously reduced and definitely my skin is much more hydrated. Usually my skin looks a bit stressed, fatigued and/or dehydrated and I have used so many creams with extra hydration that none have produced what they have promised but so far, these products – so freaking good! Dare I even say, my skin looks younger! On the other hand its a ‘NAY’: The only down side for me is that the bad news is that these products come with the inclusion of ethylparaben, propylparaben and methylparaben. Scientists have found clinically proven links between cancer and Parabens. Although you should keep in mind though that according to the FDA website, the amount of parabens found in cosmetics is negligible and has a very low cancer-causing risks. Also, Olay, as a brand in general, has been known to use animal testing. So in the end it’s really your own decision if you want to try out these products. Would you be interested in trying out the Olay products knowing that they test on animals and use some parabens – even though the products do deliver what they promise on improving your skin? Or does that completely turn you off?